Orb takes the home out of home entertainment! Orb gives you secure access to your digital media from your home computer through a simple Web interface. Stream your live TV, photos, music and videos to any Web-enabled device. 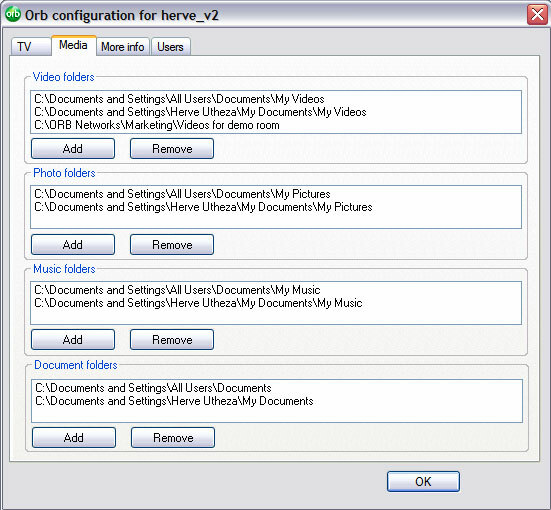 Download Orb Media and install on your home PC, and remember to provide a log in name and password. 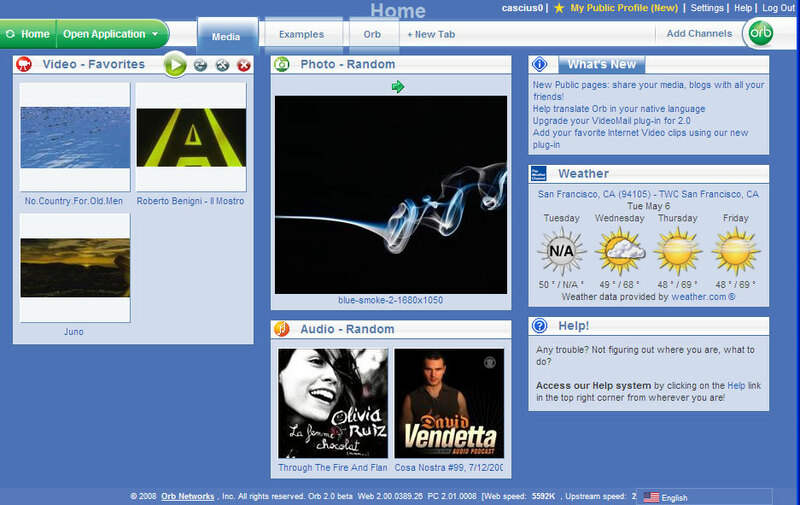 Use Orb to find your music, photos, video and Webcams. If your PC has a TV tuner, you can watch live or recorded TV. Open a browser and log into your Orb account from any Web-enabled device and enjoy streaming your digital world.